What would you say if we told you one of them was Windows? No, really! 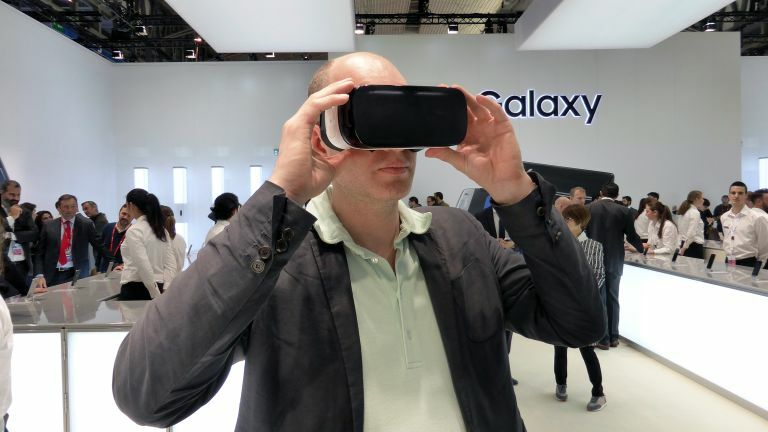 Every tech trade show has recurring themes, and MWC is no exception. At MWC 2016, it was crystal clear what the biggest stories were going to be. From virtual reality rapidly becoming real reality to a whole bunch of add-ons and no-shows, these were the top trends of this year's MWC. The sight of Facebook's Mark Zuckerberg strolling through a room full of people with VR headsets was rather chilling, but VR was the big hit of MWC: LG had a lightweight VR headset for its G5 phone; Samsung had Gear VR headsets for its Galaxy launch and the aforementioned Facebook head honcho waxing lyrical about VR's potential, while HTC announced that its Vive Pre VR headset will be $799 - which is quite a lot of money, but we're talking brand new technology and the perils of early adoption here. Oh, and you'll need a PC too, albeit one a little less powerful than the one the Oculus VR demands. Remember when Samsung dropped microSD card slots from its Galaxies? Well, they're back! Back! BACK! Both the Samsung Galaxy S7 and Samsung Galaxy S7 Edge have slots for cheap storage, much to power users' delight. It's no longer enough to make a device: you need to make a whole ecosystem of things. LG took that idea and ran with it, creating a modular smartphone in the form of the LG G5. The slide-out battery can be replaced with a slide-in camera grip or hi-fi DAC music player, and other accessories include a rolling security bot. Samsung and Sony were at it too, the former with the Gear 360 camera and the latter with a projector that turns almost any surface into a touchscreen and an earbud that doubles as a personal digital assistant, the Xperia Ear. Some of the most interesting devices at this year's MWC were running Windows. No, really. The HP Elite X3 takes advantage of Microsoft's Continuum to deliver a PC-esque experience when you hook it up to a monitor, but when you use it as a phone it's just a big phone. And Huawei's terribly named MateBook is an excellent iPad Pro / Microsoft Surface rival. It looks like smartphone firms are managing to do what PC firms couldn't: make Windows devices you'd actually want to own. Some hotly tipped devices were conspicuous by their absence. HTC showed the mid-range HTC X9, but not the imminent HTC One M10 flagship. Sony had the new midrange Xperia X range, but not the expected Xperia Z6. And despite wearables being the single most talked-about mobile technology of the last few years, Android Wear products were nowhere to be seen. We can explain that last one: manufacturers are waiting for new chips that do more for longer, such as the Snapdragon Wear processor.